Across from Walsh Park in La Grange is the beautiful neighborhood known as Falcon Ridge. Construction of Falcon Ridge began in the early 2000s. Falcon Ridge subdivision was developed by Key Homes, LLC. Homes in Falcon Ridge range from $215,000 to $290,000. The above grade square footage ranges from about 1,400 to 2,500. Typically, you will find two to three bathrooms and three to four bedrooms in Falcon Ridge houses. You will usually find brick and vinyl homes in this neighborhood with a few with a mix of both brick and vinyl. Most of the Falcon Ridge homes have a two car garage attached to the front of the home. However, there are a few that have a garage on the back of the home. Click Interactive Map to view each home for sale in Falcon Ridge. There is a satellite view button in upper right. In La Grange, you can find several places to shop. The local grocery store is a Walmart located at 1015 New Moody Lane. In addition, there is a Kroger located at 2034 Kentucky 53. For clothing stores, La Grange has several to offer. Falcon Ridge subdivision is very close to historic downtown La Grange. Couture Closet, Brazil Curve Kouture, Dizzy Dave’s East, and Elegant Image are a few boutiques you can find in La Grange. If you are looking for a shopping center, you can travel to Louisville to Saint Matthews Mall, Oxmoor Mall, The Paddock Shops, or Westport Village. Louisville isn’t far away from Falcon Ridge when using I-71. La Grange has many wonderful restaurants. Some of the most recommended restaurants amongst residents are One Nineteen West Main, Red Pepper Deli Café & Catering, Xrailsx Restaurant and Bar, Raw Sushi Bar and Grill, and Gustavo’s Mexican Grill. Walsh Park is a 12-acre park that can be found directly across from Falcon Ridge. This park offers picnic shelter with restrooms, gazebos, picnic tables, and a playground. The North Oldham Little League has a few playing fields at this park. There are also two golf courses in LaGrange near Falcon Ridge: Eagle Creek Golf Course and Oldham County Country Club. Eagle Creek and Oldham County Country Club are both 18-hole golf courses open 7 days a week. Eagle Creek is public and Oldham County Country Club is semi-private. Falcon Ridge is in the Oldham County School District. The following schools are the home schools for Falcon Ridge: LaGrange Elementary, Oldham County Middle School, and Oldham County High School. 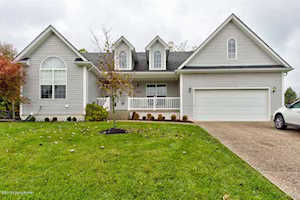 The Hollinden Team updates this search for Falcon Ridge homes on a daily basis from the Louisville MLS. Our team prides ourselves on providing excellent client care. To learn more about what our buyers have said about us, please read the Hollinden Team client reviews. If you would like to learn more or have any questions about any of these Falcon Ridge houses for sale, or others in zip code 40031, just click the "Request More Information" button on any property detail page. The Hollinden Team can provide you with past sale information, comparables, disclosures, PVA assessment, and tax information – we would love to answer any real estate questions you have.